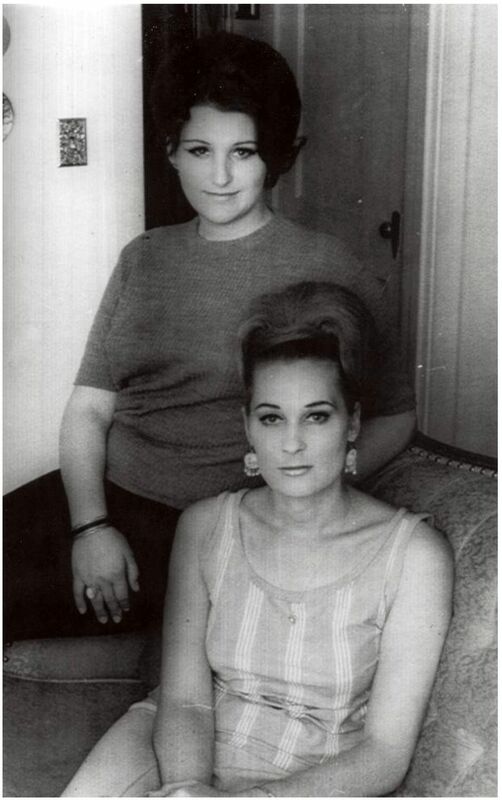 The Lee sisters (formerly the Lee brothers) participated in the University of Minnesota’s “Transsexual Research Project” during the late 1960’s. 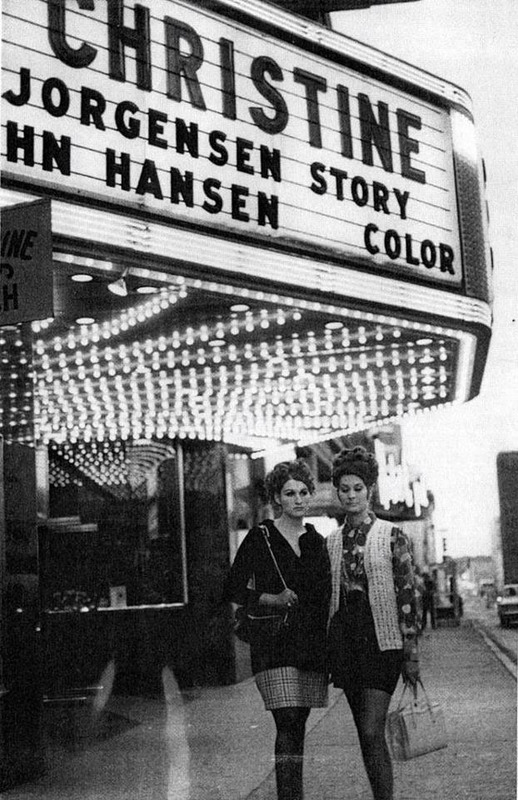 They’re posing here under the marquee of the Orpheum Theater in downtown St. Paul, Minnesota. Note the movie which was featured, which of course is the reason of being for the photograph. The following photograph is also dated 1970, although the exact location and date are unknown. Lenette is in the background, Lauraine in the foreground. They are a beautiful set of siblings. My sister and I have had a long active life and we would not be alive today if we had not had our surgery in 1967. At 73, I, Lauraine have been legally married to the same man for 41 years. I am in the photo on the right. My sister Lennette is on the left. She has been married twice. We live about 13 miles apart and we are still a big part of each others lives. We were and maybe still are, the only siblings to have had this surgery in the world. After being female for 48 years I will tell you that my sister and I have not regretted one moment of that 48 years. Would I go through numerous surgeries, and endure all that pain and tears again? You ‘betcha’, as life as a male would be unendurable and life would not be worth living. I am now 74, my Sister Lennette is 68. My husband is 81 and we have been legally married for 41 years. Due to my age, I can no longer fight the ‘good fight” for people such as I and my sister. All I can tell you is if you are a Trans Person, any sacrifice and pain will be worth the reward of spending the rest of your life just being the ‘real you.’ May God Bless each of you special people and your quest for the life you deserve.